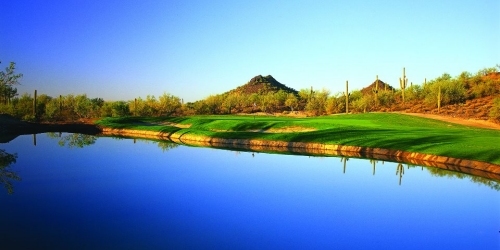 facilities for golf group outings and tournaments in the Greater Phoenix area. 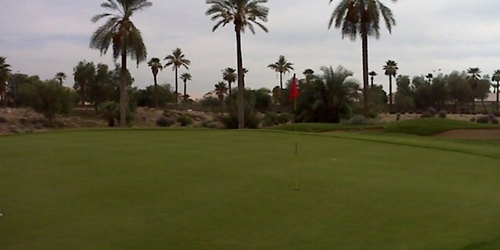 Our golf course is challenging to accomplished players, but always accommodating to even the most novice golfer. 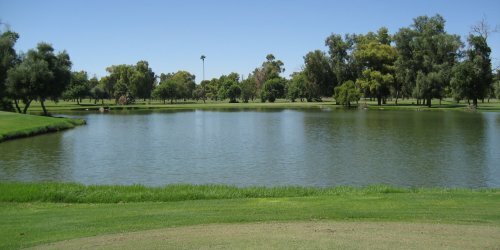 Below is a list of Arizona public, semi-private and private golf courses that host golf outings at their facility. The following golf courses are actively seeking new groups to host. Please inquire to receive a quote for your golf event/outing. 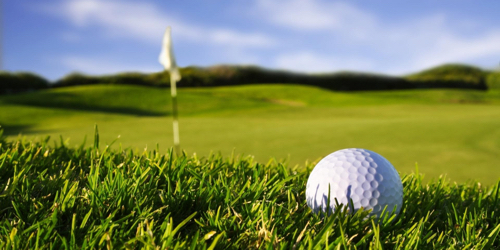 Our Professional Team at Oakcreek Country Club is committed to the success of your event. From the planning, implementation and final wrap-up, we are here to serve you. We offer a variety of complete hassle free event packages to choose from or we will customize one to fit your specific needs. 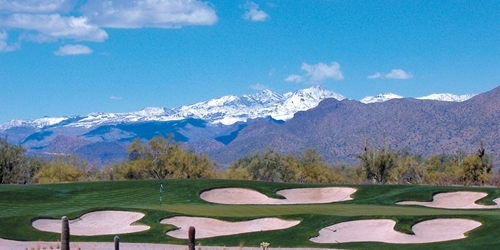 Please contact Wes Neal at wes.neal@sunridgegolf.com to discuss your outing. 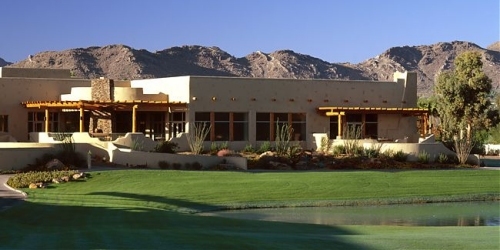 The Lodge at Ventana Canyon is the ideal place for a variety of group golf outings. 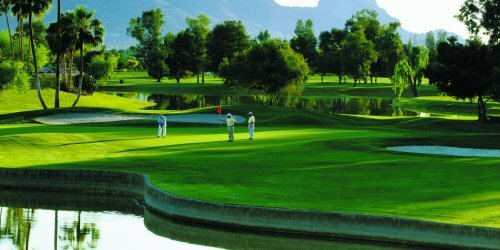 Entertain a group of colleagues with a golf outing, play golf after your next meeting, or put together a group stay & play package just for fun. 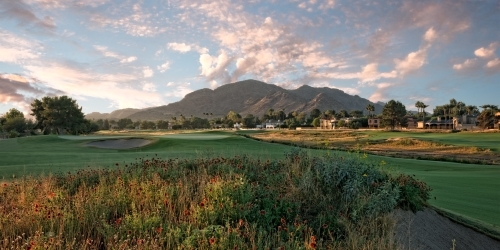 It can all be done at Ventana Canyon. 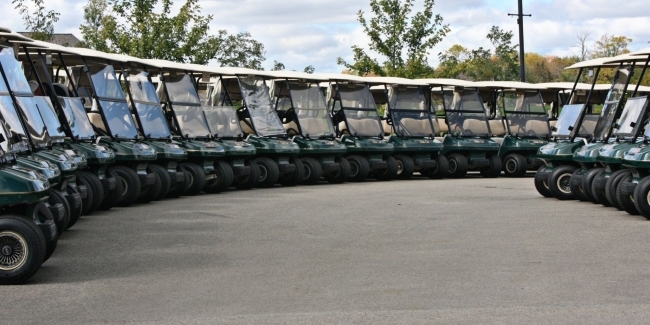 Our staff of professionals has developed, organized and executed hundreds of memorable golf events. 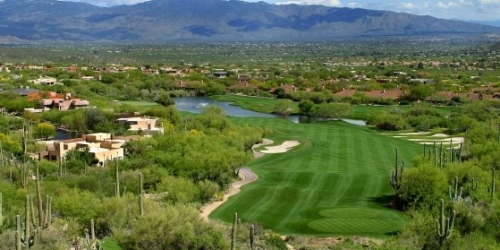 Let Ventana Canyon put their unique expertise to work for you to ensure your event is simply perfect. 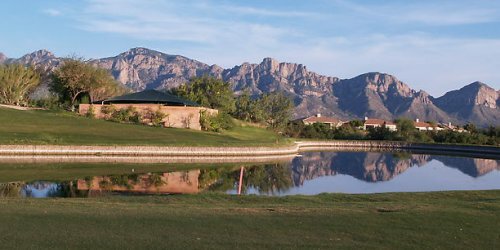 If you are interested in a traditional tournament, or even one of our Hybrid Golf Outings, contact the shop at 623.935.9414 and ask for Mike! 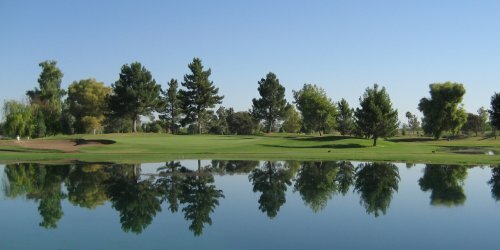 Trilogy Golf Club at Vistancia is among the premier host facilities for golf group outings and tournaments in the Greater Phoenix area. 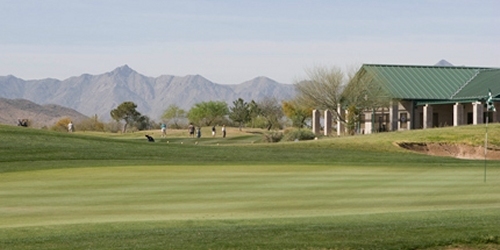 Our golf course is challenging to accomplished players, but always accommodating to even the most novice golfer. Our professional staff is here to assist you in designing a successful golf event from player registration to post-play celebration, with the full intent to relieve the burden from you or your group coordinator. 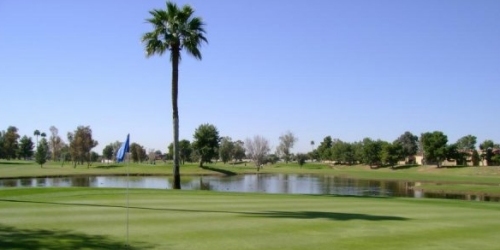 Every golf tournament package at Trilogy Golf Club at Vistancia includes a dedicated Tournament Director, full use of our practice facility, customized scorecards, professional event scoring, tee gifts, on-course individual competitions, and more. We take our role as event host seriously, and we will provide your group with the finest service, from welcoming each player to the facility to cleaning clubs after the round to serving up cold drafts in the Verde Grill after play. 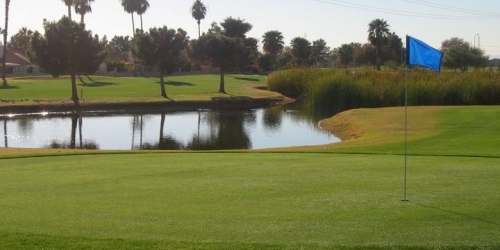 * Lower handicap guests are challenged while having multiple holes that require strategic shot making and a chance to use every club in their bag. * Custom made website to help promote your event! * Ask us to build your own Online Registration website! This completely custom-designed site will allow you to save time and money - and it's easier on your guests! You'll be amazed at how easy the site is to use, and how much more free time you'll have not having to spend all day next to the fax machine. Click here to see a demo! 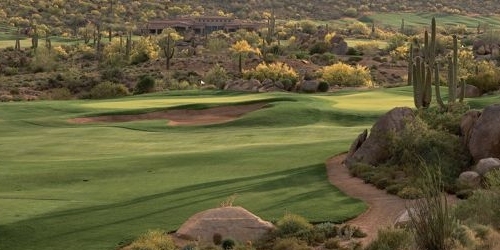 Many planners choose Trilogy Golf Club at Vistancia because of our reputation. 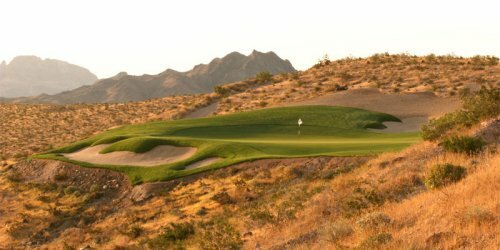 Golfers do not pass up the opportunity to play a course with our notoriety for service, conditions, and layout, and many tournaments and charities have had their most successful years with us. 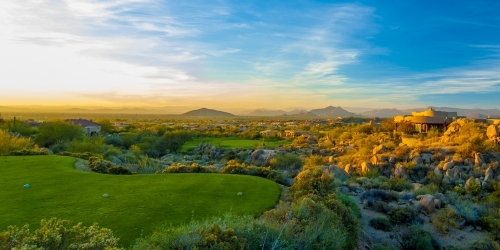 Golfers in search of the ultimate desert golf experience are returning to Troon North Golf Club to play Tom Weiskopf's true vision. 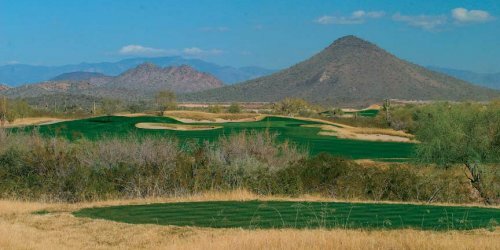 New course renovations by original designer and British Open Champion, Tom Wesikopf, have created two new layouts with improved playability. 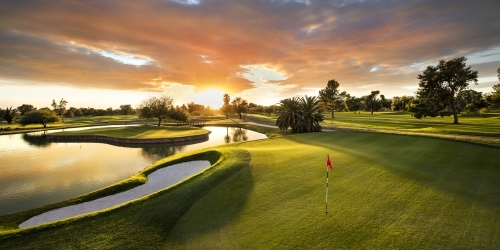 Recently ranked #1 in Arizona and #21 in America, golfers are sure to experience the best in Arizona golf! 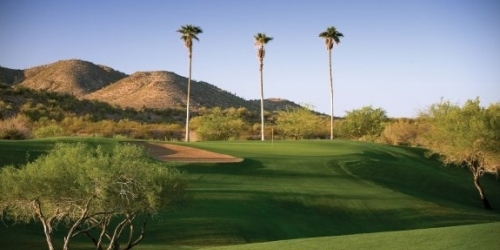 Contact Mike Friend to schedule a site visit and we will provide you with the many benefits of hosting your golf outing at Troon North Golf Club. 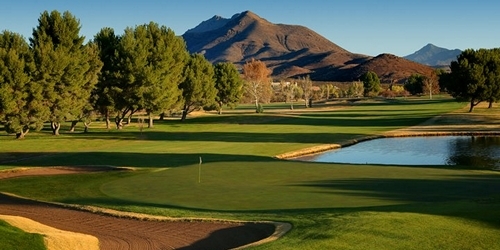 McCormick Ranch Golf Club is one of the best facilities in town to host your golf outting. Whether it's 16 players or 400 players, we would love to host your upcoming event! 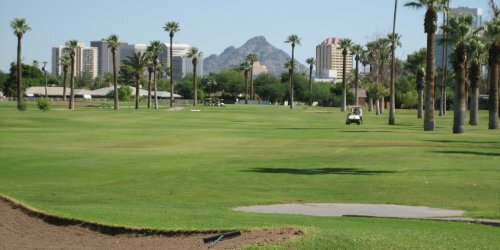 Please submit a tournament request on our website or give us a call at 480-948-0260. 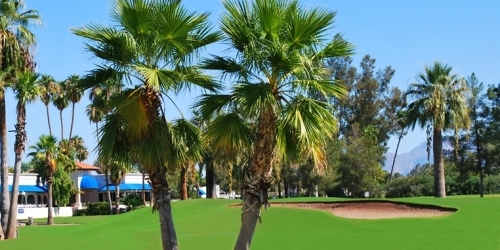 If interested in bringing your next event to Palm Valley at contact Jim Hamilton at jim.hamilton@palmvalleygolf.com or visit our website at www.palmvalleygolf.com for further infomation. 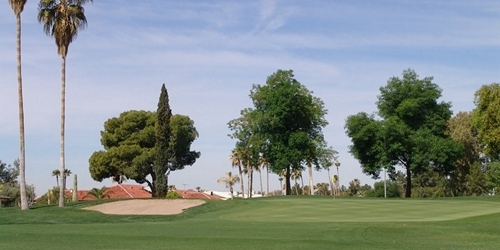 Please contact Chuck Dammeir, Director of Golf at (623) 972-1364 extension 103 for more details. 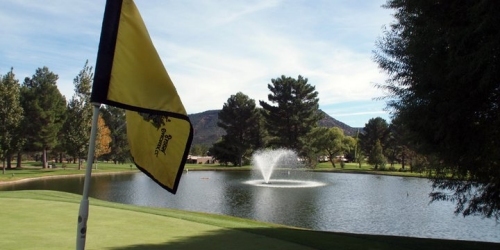 Esplendor Resort and Rio Rico Country Club caters to outings looking for pure golf and no distractions. Hospitality suites are available and catered meals or receptions can be arranged for. Contact Ryan Linnell to book your event today! 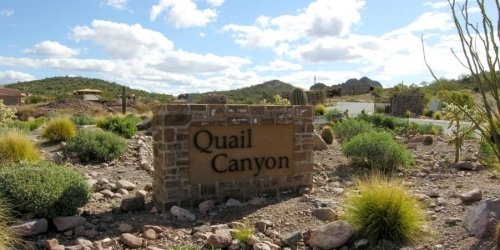 Please call Kim Griggs for information on Group Outings @ 520-917-8053. 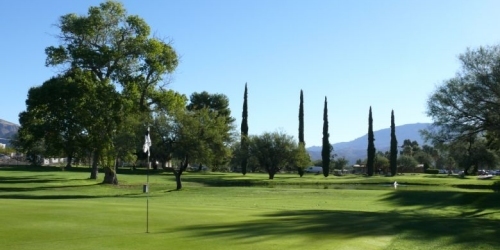 Verde River welcomes golf outings, tournaments and corporate outings. Outings can be booked through the golf shop by calling 480-471-3232 or completing the form below. Prices will vary depending upon the outing size, season and availability. Custom options (specialized scorecards, cart signs, course booking, food & beverage options, etc) available upon request.